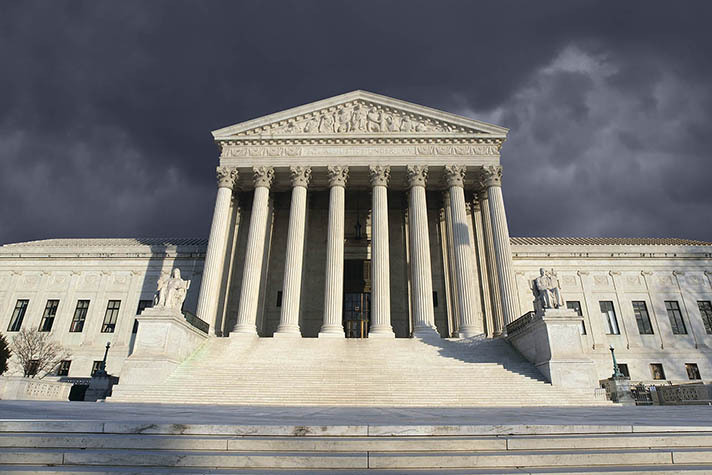 As election day draws closer, one of the issues that continues to be at the forefront is the Supreme Court. The next president of the United States will immediately nominate one Supreme Court justice and could end up appointing several others over the next few years. And those decisions will shape the future of the nation. On Thursday at the Decision America Tour prayer rally in Columbus, Ohio—the 47th stop on the 50-state tour—Franklin Graham urged a crowd of nearly 8,000 people to vote next month, even though many Americans have expressed a dislike for both Donald Trump and Hillary Clinton. He explained that the next president will nominate a Supreme Court justice early next year, as soon as he or she is inaugurated. And the new president’s influence over the highest court in the land won’t stop there. As many as five justices could be appointed over the next several years. As of the beginning of October, Democratic presidential nominee Hillary Clinton has not released names of people she would potentially nominate; she has only said that she supports President Barack Obama’s suggested nominee, Merrick Garland, to replace the vacancy left by the late Justice Antonin Scalia. Republican presidential nominee Donald Trump has released a list of people he would consider nominating to the Supreme Court. The following list is an abbreviated version of what Trump has included on his campaign website. Steven Colloton of Iowa is a judge of the U.S. Court of Appeals for the Eighth Circuit, a position he has held since President George W. Bush appointed him in 2003. Allison Eid of Colorado is an associate justice of the Colorado Supreme Court. Colorado Governor Bill Owens appointed her to the seat in 2006; she was later retained for a full term by the voters (with 75% of voters favoring retention). Raymond Gruender of Missouri has been a judge of the U.S. Court of Appeals for the Eighth Circuit since his 2004 appointment by President George W. Bush. Thomas Hardiman of Pennsylvania has been a judge of the U.S. Court of Appeals for the Third Circuit since 2007. Prior to serving as a circuit judge, he served as a judge of the U.S. District Court for the Western District of Pennsylvania since 2003. Raymond Kethledge of Michigan has been a judge of the U.S. Court of Appeals for the Sixth Circuit since 2008. Joan Larsen of Michigan is an Associate Justice of the Michigan Supreme Court. Justice Larsen was a professor at the University of Michigan School of Law from 1998 until her appointment to the bench. William H. Pryor, Jr. of Alabama is a judge of the U.S. Court of Appeals for the Eleventh Circuit. He has served on the court since 2004. Judge Pryor became the Alabama Attorney General in 1997 upon Jeff Sessions’s election to the U.S. Senate. Judge Pryor was then elected in his own right in 1998 and reelected in 2002. David Stras of Minnesota has been an Associate Justice of the Minnesota Supreme Court since 2010. After his initial appointment, he was elected to a six-year term in 2012. Diane Sykes of Wisconsin has served as a judge of the U.S. Court of Appeals for the Seventh Circuit since 2004. Prior to her federal appointment, Judge Sykes had been a Justice of the Wisconsin Supreme Court since 1999 and a Wisconsin trial court judge of both civil and criminal matters before that. Don Willett of Texas has been a Justice of the Texas Supreme Court since 2005. He was initially appointed by Governor Rick Perry and has been reelected by the voters twice.